Lawmakers and government officials are seeking to ramp up scrutiny over electronic health records. A week after whistleblower allegations against Community Health Systems' related to its electronic health record implementation were revealed, Rep. Jim Banks (R-Ind.) asked the National Coordinator for Health Information Technology for information on the ONC's processes to ensure compliance with the government's Promoting Interoperability program before paying out incentives. In a letter to National Coordinator Dr. Don Rucker, Banks asked how today's procedures to verify compliance differ from those used during meaningful use—the Promoting Interoperability program's predecessor meant to prod hospitals and clinicians to adopt electronic health records. Referencing the whistleblower allegations against Franklin, Tenn.-based hospital system CHS, Banks also asked if the ONC inspected or verified CHS' attestations that its EHR technology met requirements, and what information was found. "If proven, these allegations represent not just a misuse of Promoting Interoperability but a situation in which an EHR implementation was made worse, and providers and patients suffered, because of the misapplication of well intentioned incentives," Banks wrote in the letter dated March 20. Last week, a federal court unsealed a whistleblower complaint that CHS hospitals made false attestations to the CMS about its EHR technology to collect millions of dollars in incentive payments meant to reward hospitals for meaningfully using certified EHR technology. But CHS' EHR software, provided by vendor Medhost, was flawed and put patients at risk, making the technology ineligible for certification, the whistleblowers alleged. The whistleblowers, who are two former CHS IT staff members, said that even though CHS was aware of the flaws, it rushed to implement the technology at its hospitals. The complaint describes instances in which clinicians or administrators sounded the alarm about the potential for patient harm because of the software's flaws. 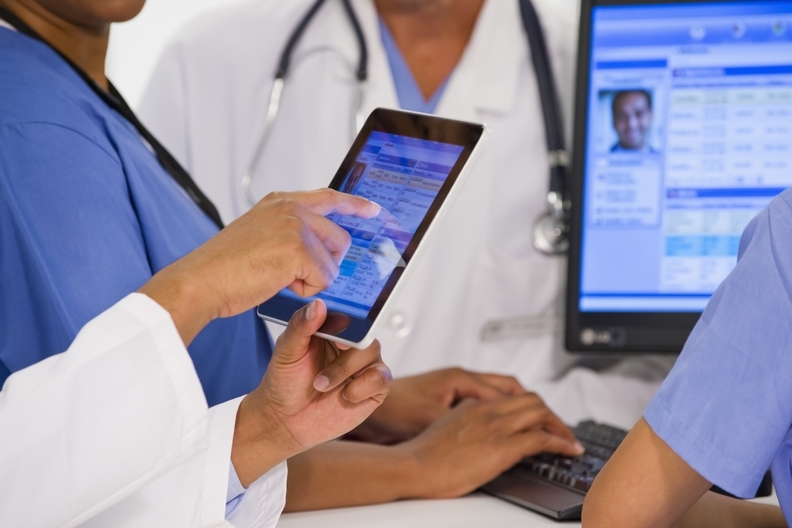 Meanwhile, Food and Drug Administration Commissioner Scott Gottlieb earlier this week called for stronger oversight of EHRs to ensure they don't put patients at risk, the Kaiser Health News reported. Gottlieb was responding to a report by Kaiser Health News and Fortune magazine that detailed patient deaths and injuries stemming from EHRs over the last decade.